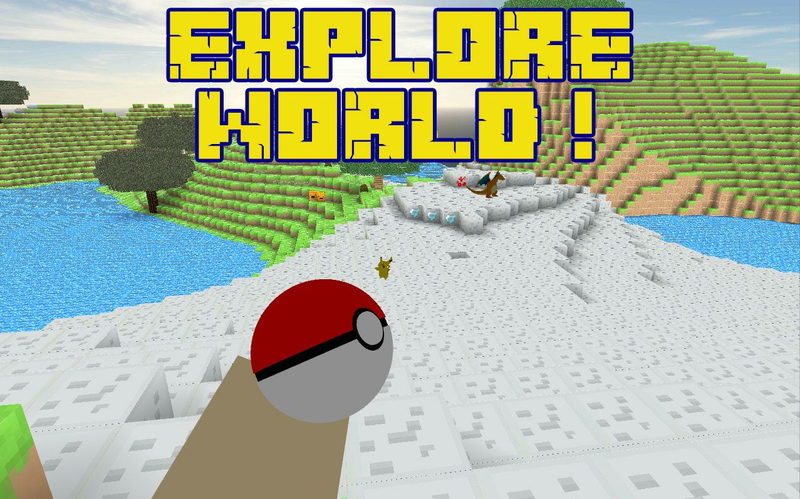 Do you love adventure and role-playing games?Ilike to explore the abandoned mines of the world aftertheapocalypse with his pocket pixelmon friends? Then this game isforyou! You will be in a world populated by zombies andmysticalmagical creatures. Find and catch as much as possiblepixelmons whowalk in this world with the help of your pixel ball!Go with them tothe study of abandoned mines, currently craftedweapons and armor todefend against monsters. The application redesigned crafting system: craft hasbecomeeasier and more fun! Do yourself a clothing, food, weapons(pick,sword, ax) armor. With crafting, you can build a house fromthedifferent pixel blocks for herself and her pixelmon ' s, whichyoucan catch on this planet! Build your battle arena to battle your friends inonlinemultiplayer mode, and get to know someone pixelmon stronger!If youwin and raise their level, your Pocket each evolve andbecome morepowerful! Try the story mode, where you can learn the historyofthis planet! Welcome to the new game - pixelmonworldcraftexploration GO. In this game you have to survive in aworld afterthe apocalypse, which is besieged by numerous zombiesand mysticalcreatures. They are called pixelmons. Find poke balland tamethemselves cherished pixelmon. 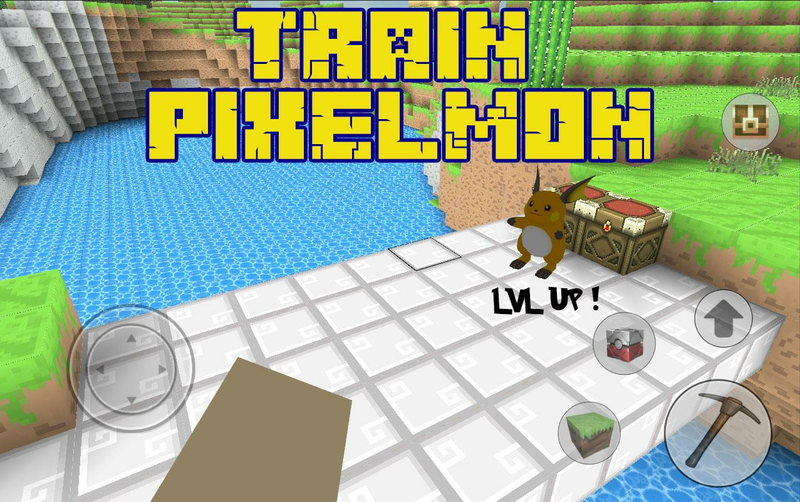 Mine , Craft and build!After that,you can explore the world of handheld craftparticipating in theBattle Arena , creating a variety of thingsthat will help increasethe strength of pixelmon, thanks to thelatest and interestingcrafting system. Also you will be able tobuild your house, whereyou will spend the night, because the nightin the woods scary anddangerous walk Pixelmon's, newcomers copewith them will bedifficult. But do not worry, collecting the rightamount ofexperience you can always evolve their pixelmon's! Tobecomestronger and defeat all the dangerous creatures andbecomecraftmaster!Soon updates:- the change of night and day- Battle Arena- Improved Crafting System- open 3D cube world (sandbox)- World Block Craft- Equipment, weapoons- Zombie- catching pixelmons- Multiplayer- texture pack and skinsBegin to explore the world of multicraft pocket GO withyourfriends online absolutely free! Evolution: pockecraft pixelmon - Are youreadyto study? Build and explore this beautiful world. Find Pokeitemand create creatures. Fight to survive, build & craftprincess.With each new update waiting for you a lot of new content.Day andnight follow each otherFeatures Evolution: pockecraft pixelmon:- Building- Crafting- Exploration- Day & Night cycly- Pokecraft system- Pilxelmon system- MultiplayerPlay now with friends and absolutely free! Learn tips, tricks, and installation methods with this app. It isuseful for any Minecraft player who want level up their game.ItsCrazy Craft Mod for MinecraftWatch Crazy Craft videosPreview CrazyCraft photosInstall Mod on PC or PELearn what is Crazy Craft ModAppwill be updated regularly and more features will be added up. Staytuned. Worldcraft mine: build craft -that’sinteresting game where you can feel like a hero. In it youcancollect items and create house. Build and explore thisperfectworld. 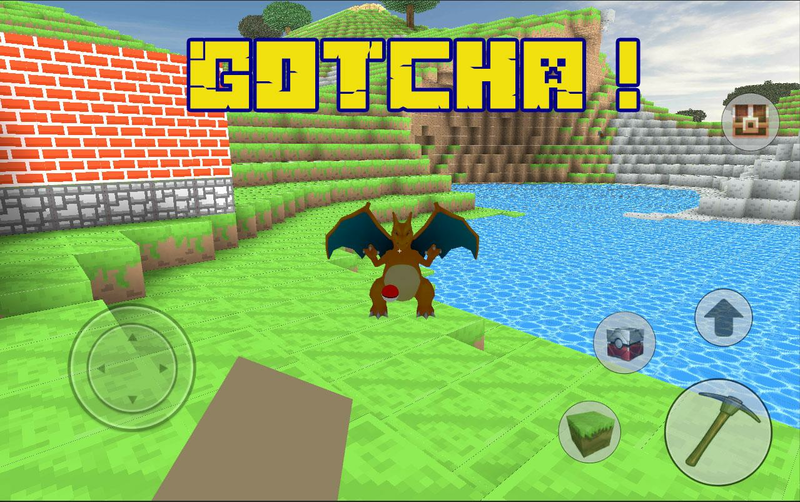 Figh to survive, build & craft.Features:- Day / Night Cycly- Pokemons- Pixelmons- Pokecraft system- Building & Craftings- Create a poke item and get the creature- Exploration craftStart playing Worldcraft mine: build craft right now!——————————————————————————————————This is not an official Mojang app. Ice Invasion is notassociatedor connected with Mojang AB and its game Minecraft -Pocket Edition& Minecraft Story mode. Minecraft is a trademarkof Mojang ABand it is not endorsed by or affiliated with thecreator of thisgame or its licensers.Worldcraft mine:buildcraft - that's interesting game where you can feel like ahero. Init you can collect items and create house. Build andexplore thisperfect world. 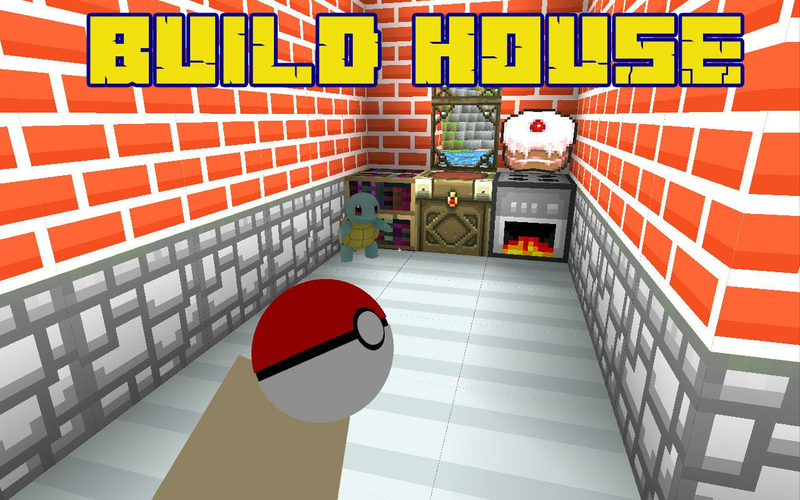 Figh to survive, build & craft.Features:- Day / Night Cycly- Pokemons- Pixelmons- Pokecraft system- Building & Craftings- Create a poke item and get the creature- Exploration craftStart playing Worldcraft mine: build craft right now!----------------------------------This is not an official Mojang app. Ice Invasion is notassociatedor connected with Mojang AB and its game Minecraft -Pocket Edition& Minecraft Story mode. Minecraft is a trademarkof Mojang ABand it is not endorsed by or affiliated with thecreator of thisgame or its licensers.